Thank you for your interest in West Side Nursery School. WSNS is an accredited play-based preschool in Ridgewood, New Jersey, dedicated to nurturing the social, emotional, intellectual, and physical development of children ages 2 1/2 to 6. For more than fifty years, we have provided Ridgewood and its surrounding communities with a warm and caring environment for children to learn and grow, while fostering self-esteem, respect for others, strong interpersonal skills, and a lifelong love for learning. 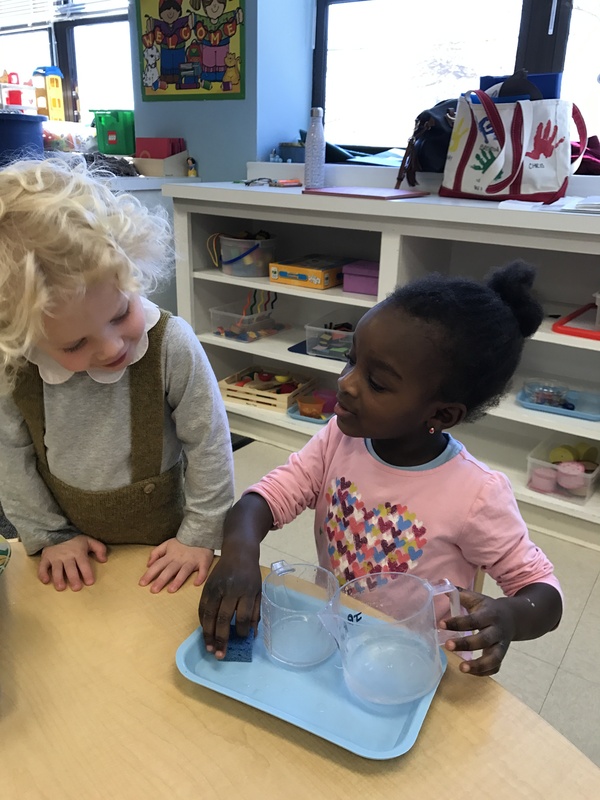 Our developmentally appropriate curriculum includes art, music, indoor and outdoor play, letter/sound recognition and formation, number sense, counting, sorting, and working with shapes and patterns, as well as other hands-on experiences in math, science, and social studies. Our facility includes large and inviting light-filled classrooms, a library, a gym-like environment, and a safe, shaded, outdoor playground on a half-acre of landscaped, fenced-in grounds. We hope you will come visit us! Call of email to set up an appointment today.